Corrugated Plastic for a room divider? Q) I’m looking for a roll of corrugated plastic to be used as a room divider and need it to be approximately 38 ft long and 6-8 ft wide. Can we add two heavy duty grommets on each end and is the material available in cardinal “Stanford” red? A) Thanks for your inquiry. Sorry, but the rolled corrugated plastic is only available up to a 53” in width.For the project, you are considering I would suggest using 4’ x 8’ corrugated plastic sheets. You could add grommets if needed to link the panels together with something like cable ties. This would allow you to accordion fold the sheets when not in use. We do sell quantities as low as 50 sheets in our laminated corrugated plastic product line available in a standard red but laminated sheet is only available in 4mm thickness. I would highly suggest using our profile corrugated plastic sheet. The advantage of our profile corrugated plastic sheet is that it can be ordered in a much thicker “heavier” profile giving more structure to your walls. I would suggest something like our 10mm or heavier would be helpful for the added structural integrity. You would most likely have to paint the sheets because in the smaller quantities that you are needing we only have standard red available not a cardinal “Stanford University” red. We do offer custom matched colors in much larger quantities. I hope this was of some assistance to you and feel free to contact me for more information or details. Q) Why do plastic corrugated boxes need tooling when fiber corrugated boxes don’t? A) This is a very good question. You are correct that many standard design styles like a regular RSC (regular slotted container) do not need tooling or cutting dies when manufactured from fiber corrugated. They are most often manufactured on equipment that can score the box and cut the top and bottom flap slots without the need for a cutting die. These are most often the standard boxes that you would require you to tape the flaps down when closing the box. 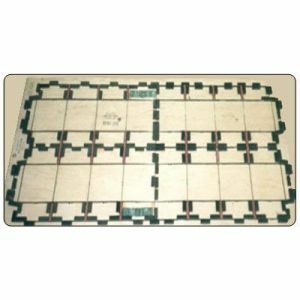 Many other styles like a pizza style box require tooling for either plastic corrugated or fiber corrugated boxes. The reason this standard equipment cannot be used for plastic corrugated is that the plastic does not cut or score (crease) as easily as fiber corrugated boxes. The plastic corrugated wants to stretch and tear when attempting to run the material on standard box equipment. So, in order to get clean cuts or strong creases to allow the container to fold correctly the plastic corrugated needs to be cut and creased with a tool or cutting die. Tooling or cutting dies for plastic corrugated are priced very similar to the cutting dies needed for fiber corrugated. They are manufactured from wood and steel rule. The die or tooling can either be made flat or curved depending on the type of equipment that will be used to produce your product. The steel rule has either a sharp edge for cutting or a flat or rounded edge for creasing to make the folds in the container. The main difference is that plastic corrugated needs different cutting edges as well as a slightly different scoring configuration. Plastic corrugated also needs additional pressure due to the memory of the material during the die cutting process to cut and crease the plastic. When we are producing containers or other parts from heavier gauges of plastic corrugated we often use a special tool and heated die cutter to not only cut and crease the plastic but to heat the scoring to allow the item fold easier after production. Q) If I shouldn’t use tape for closing a reusable plastic corrugated box what are my other options? A) Here is a list of a few optional closures to take the place of using tape for your reusable carton. If you tape a box or carton closed almost every time the person opening the box at its destination will use some kind of sharp cutting tool like a razor box opener to “cut” the tape to get your carton opened. There is a good chance that that same tool used to cut the tape will end up cutting in to your box as well. The use of optional closures that do not require a sharp tool to open your box or carton will help assure that it will have a long and useful life in your reusable system. In cases where tape must be used for security reasons than a release label can be applied to the box. The release label has a permanent adhesive on one side that is applied to the plastic corrugated box or carton and has a proprietary plastic coating on the opposite surface that does not allow for labels or tape to adhere well to its surface. If one or both of the ends of the tape overlap this label it will not adhere well to the release coating on the label. This allows the person unpacking the container to more easily grab the end of the tape on the release label and pull the tape from the container instead of using a sharp tool to cut the tape. Q) Should I use tape on a plastic corrugated box? I would have to say a BIG NO 95% of the time. The only exceptions would be if the plastic box or carton is being used for a one-time shipment or it is being shipped by common carrier like FedEx, UPS or freight shipper and it must be secured with tape with the intent to get it back for re-use. Let me try to explain in a little further detail. 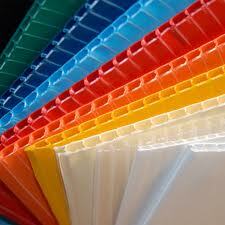 Most customers use plastic corrugated products because they are durable and can be used time and time again. They are considered “reusable” packaging. It is not very common that a customer pays the added expense for plastic corrugated in place of fiber corrugated to use the container for a onetime use. We have sold products that have been used as a onetime use package because of international shipping requirements or for the added protection for an expensive, sensitive or fragile product. It has also been used for one time usage for promotional items because of the attractive appearance plastic packaging has over paper or fiber type packaging. So, since plastic corrugated is most commonly used for its reusable properties using tape to close the box or carton can be asking for trouble. If you tape a box or carton closed almost every time the person opening the box at its final destination will use some kind of sharp cutting tool like a razor box opener to “cut” the tape to get your carton opened. “YIKES”, what happens when someone cuts the tape? They will most assuredly cut the box at the same time. You invested in the plastic corrugated box because it can be used repeatedly. The last thing you want it for someone to start cutting it up with a sharp blade! There are many options that can be used in place of taping or if tape must be used there are options we can add to help prevent the use of a cutting tool to open the taped carton or box. Q) When is it the right time to use plastic corrugated as a container? A) Although this is a very general question let’s see if we can at least give you a few helpful guidelines. Q) What are the uses and advantages of your PPS-Pak over other bulk containers? A) We have our PPS-Pak bulk containers in use in a variety of Industries and applications. From museum storage and artifact transportation in museums across the country including every Smithsonian Museum to PPS-Pak’s in use for transferring asphalt shingles for recycling facilities and hundreds of applications in between. There are several advantages of the PPS-Pak self-contained bulk container system. Here is a list of some of some of the benefits the PPS-Pak bulk container offers. PPS-Paks have a stacking load capacity of over 3000 pounds and can exceed 20,000 pounds with custom added support features. PPS-Paks can be ordered with one, two or no drop doors as well as customized with a variety of features. 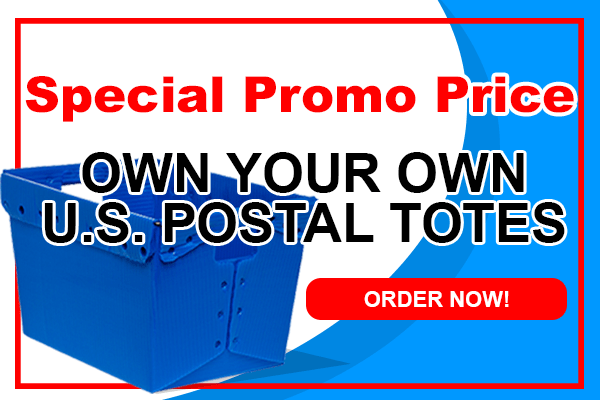 Standard PPS-Paks are designed to take full usage of interior capacity while still retaining the ability to fold inside the pallet and cap for condensed and easy return. Standard slide locking pallet and lid eliminates the need for banding and stabilizes the container during the loading and unloading process. The PPS-Pak innovative four-way entry system accommodates industry standard equipment, allowing you to load more containers into your trailers and increase your shipping capacity. PPS-Pak can be custom printed on all four sides allowing for excellent product identification. Custom dividers and partitions can be added to provide additional product protection and can be configured to fit your specific needs. PPS-Pak’s durability and ease of handling can make your cost per trip less than $1 per container. Your investment will be recovered in a short time with long term savings to look forward to in the future. In an industry of bulk containers, the PPS-Pak is one of the lightest weight and cost effective moving and storage solutions offered. We have standard sizes available and we can customize these units for almost any type of application. Q) Our outdoor signs are being damaged by the wind and weather. What do you recommend to improve their performance? A) A few factors can have dramatic performance benefits for your signage. First, most standard outdoor plastic corrugated signs are made from 4mm, white, polypropylene plastic corrugated. This material is adequate in many scenarios like open houses, temporary advertising, window signage, etc. Where this material may not be adequate is in high winds, large signage, below freezing temperatures or used in display as a support panel. In these circumstances, you may want to add a frame, additional fastening points for the sign, polyethylene vs. polypropylene or using a thicker and heavier plastic corrugated material. I have recommended some customers to use up to 10mm board in cases that warranted the need for an extra heavy panel for their signage. If UV color fading is an issue than I would suggest staying away from red, orange or yellow for your signage material. Silkscreened printing especially with UV inks are much more stable in resisting color fading in the sun than the plastic corrugated material itself. In some applications, additional UV additive can be added during the extrusion process of the sheet. If needed, we can also add metal grommets to the attachment points to help prevent tearing of the material from the mounting point. Once again there is the industry standard that is available but when there is an “untypical” application that is when it helps to know the exact application and customizing the signage may be the way to go. Corrugated Plastic for (Point of Purchase) POP Display? There are several reasons why you should consider all or part of your POP Display to be manufactured from plastic corrugated. How long will your POP be on the retail floor? 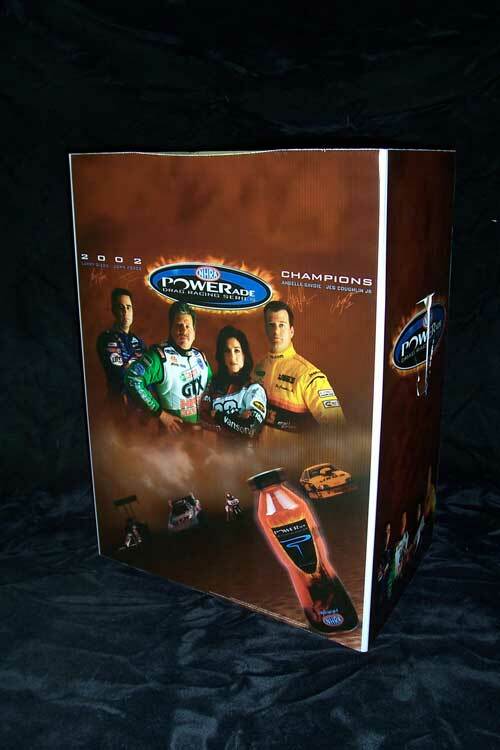 If your POP will be displayed or in use for more than 45 to 60 days then a plastic corrugated POP Display can be beneficial in keeping your product or message both looking its best and maintaining its structural integrity.